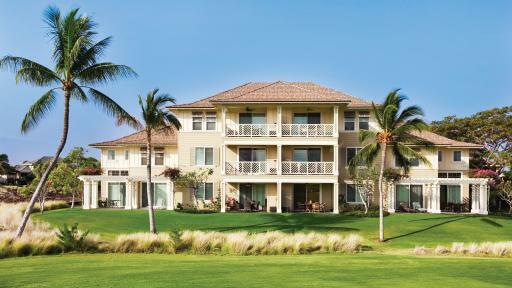 Set on the island's Kohala Coast, Fairway Villas Waikoloa by Outrigger offers self-catering accommodation close to a variety of local activities and attractions. Offering a great deal of privacy, the resort offers a peaceful environment to relax and enjoy the many onsite leisure facilities. 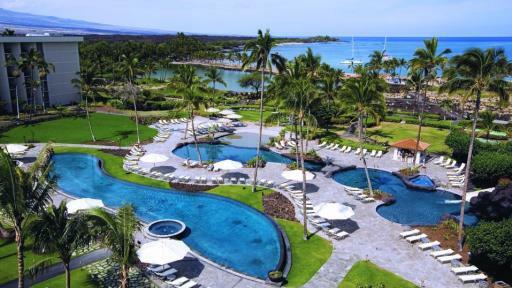 Situated on the Kohala Coast, Hilton Waikoloa Village offers deluxe accommodation surrounded by 62 acres of tropical gardens. The resort's picturesque beachfront location is the ideal environment for enjoying the wide range of facilities and activities including the relaxing day spa and interactive dolphin experience. 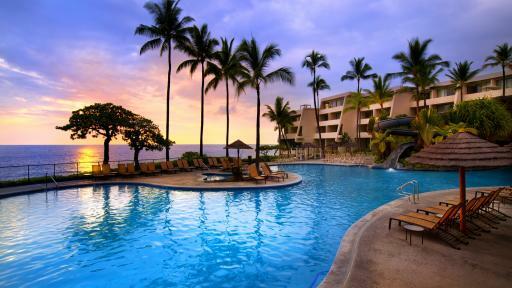 Offering an enviable beachfront location, Royal Kona Resort enjoys close proximity to the best of local shopping, dining, entertainment and attractions in Kona Town. The resort offers modern and comfortable accommodation and a spectacular range of onsite facilities including an oceanfront swimming pool. 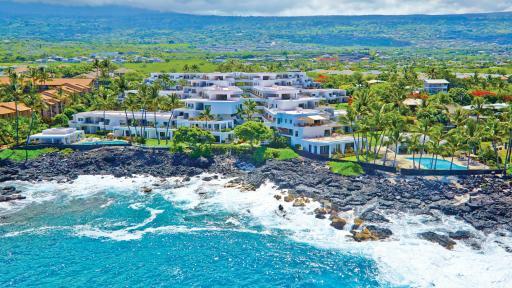 Positioned on a rocky bluff formed from volcanic lava, Royal Sea Cliff Kona by Outrigger is just minutes from the Keahole-Kona International Airport and Kona. The resort offers self-contained accommodation with spectacular views and a fantastic range of onsite leisure facilities. 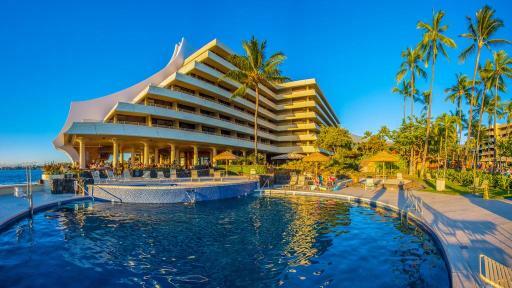 Located just minutes south of Kona, Sheraton Kona Resort and Spa at Keauhou Bay offers family friendly accommodation with an outstanding range of onsite facilities including a large swimming pool complete with fountains, sandy bottomed pool, 200 foot waterslide and more. 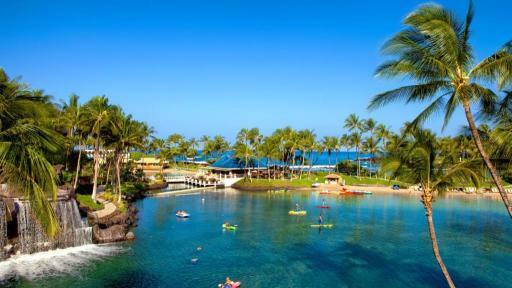 Nestled in Kona's Anaho'omalu Bay, Waikoloa Beach Marriott Resort and Spa offers deluxe accommodation close to a range of facilities and attractions. The resort offers beautifully manicured grounds with excellent facilities including an indulgent day spa and exquisite swimming pools and restaurants.